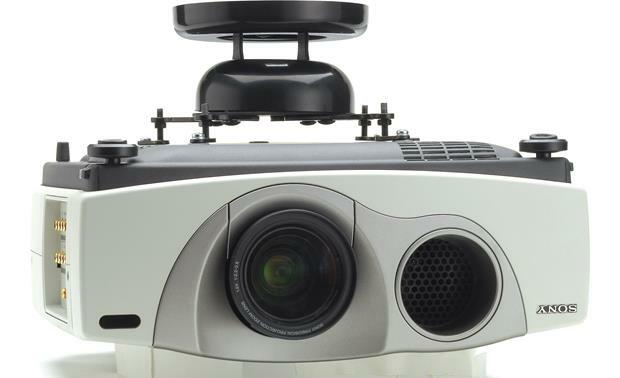 Ceiling-mounting your projector keeps it safe, secure, and out of the way. Ceiling-mounting your projector keeps it safe, secure, and out of the way. 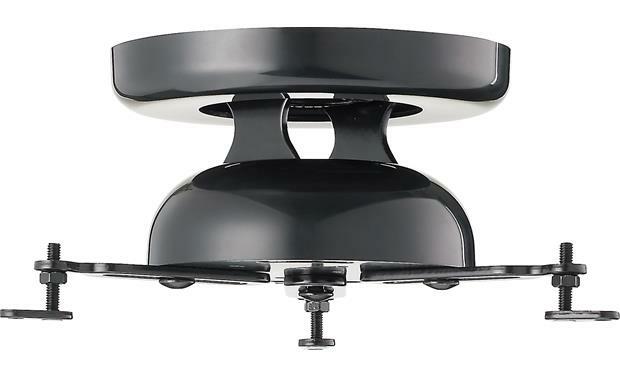 Sanus's VMPR1 provides a sturdy, convenient way to ceiling-mount most projectors up to 50 pounds. Nice ceiling mount. Solid construction. What is the overall assembled height of the mount without the extension pole installed? In other words how far down from the ceiling will a projector be without the pole? It does depend on the projector a little bit, but my Epson 5030UB is 5.5" down from the ceiling. Projector Compatibility: The Sanus VMPR1b projector ceiling mount system offers a versatile mount design that accommodates more than 95% of all DLP and LCD projectors on the market. The Sanus VMPR1b can accommodate a variety of projector mounting patterns and screw sizes. 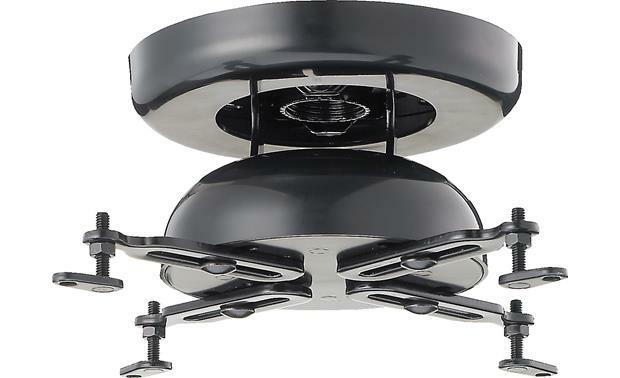 The mounting arms can cover an area approximately 12" in diameter. If the two extension arms are added, an area up to 18.5" in diameter can be covered. If the projector uses less than four mounting screws, the mounting arms can be removed. The maximum weight to be installed on the mount is 50 lbs. Heavy Gauge Steel Construction: The Sanus VMPR1b projector ceiling mount utilizes heavy-duty gauge steel construction for a secure and long-lasting mount. 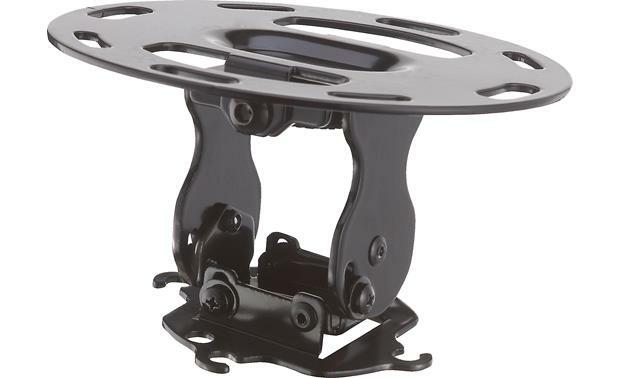 Decorative Covers: The VMPR1b projector ceiling mount comes with decorative plastic covers and trim-rings (black or white) to conceal exposed hardware and unsightly cables. Quick-Release Mechanism: The Sanus VMPR1b employs a quick-release mechanism that allows dismounting for servicing of filters and bulbs without realigning and refocusing. Separate Roll, Tilt, and Swivel Controls: Independent roll (+/-6°), tilt (+/-30°), and swivel (+/-15°) adjustment settings make set up and alignment easy. Extension Pole w/ Angled Adapter: The Sanus VMPR1b includes a 7" extension pole and adapter bracket for cathedral or vaulted ceilings. 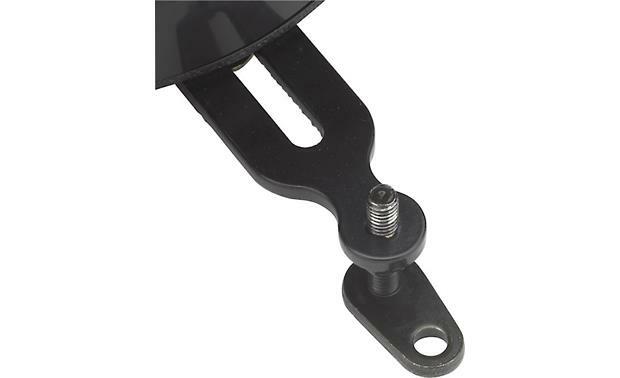 The adapter bracket allows you angle the projector mount +/-45° to accommodate the slope of the ceiling. The extension pole sits your projector approximately 12.75" away from the ceiling (distance will vary if your ceiling is angled). Without the extension pole, the ceiling mount bracket only sits your projector 4.75" away from the ceiling. Installation Tools: The following tools are needed for installation. Will this mount work with the Sony VPL-HW40ES project? I'm not familiar with that sony projector. I used it on an epson 5030ub projector and it worked. I don't have a Sony projector so I can't answer for certain. The mount does come with extensions for the mount brackets and can fit a pretty big projector. I have an Epson which is quite large and it worked well for it. Could have fit a much smaller projector as well. 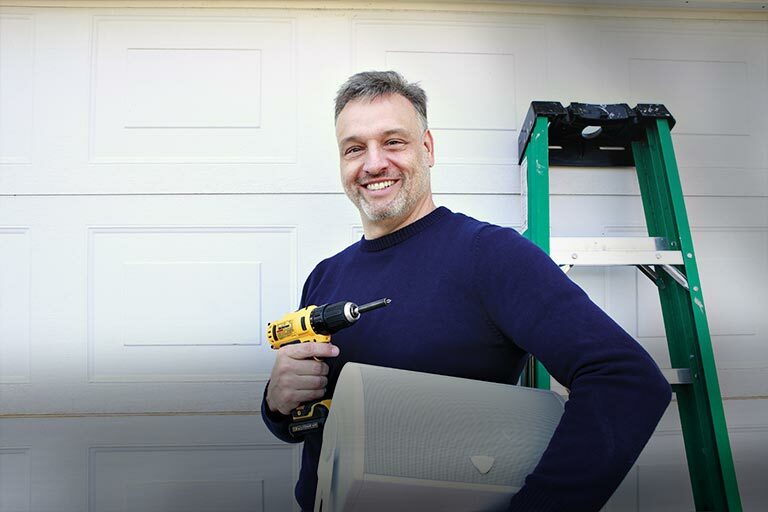 I need a longer extension pole, can I use another company for the pole? what siz is it. No, you'll need to get a ceiling mount with an extension that suits your height of installation. I didn't use the pole and would estimate about 3 inches, maybe a bit more. It is a little clunky to assemble out of the box, but solid once you do! It has worked well for me. Searches related to the Sanus VMPR1 Universal projector mount.